With Source Four HID Zoom you never have to worry about last-minute changes. 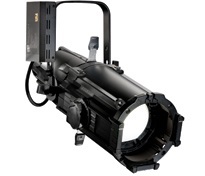 Source Four HID Zoom gives you the flexibility of on-site field-angle adjustment in a 150W HID spotlight fixture with 12,000 hr. lamp life, pattern-projection capability, framing shutters, and a bright, even field. Not to mention the cool beam, rugged construction and every other attribute of the Source Four HID family.